Okay, so when Mr. Kerrie and I were asked to review this grill brush, we were pretty excited and curious. 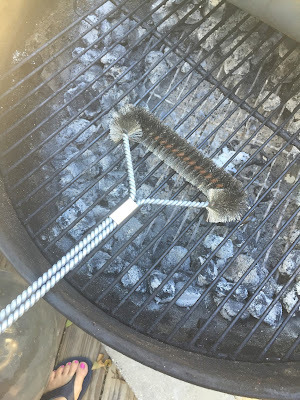 We'd used the same grill brush for a long time and it was one of those regular ones that's shaped like a rectangle and was super scratchy and got all smooshed down when we would clean the grill a few times. 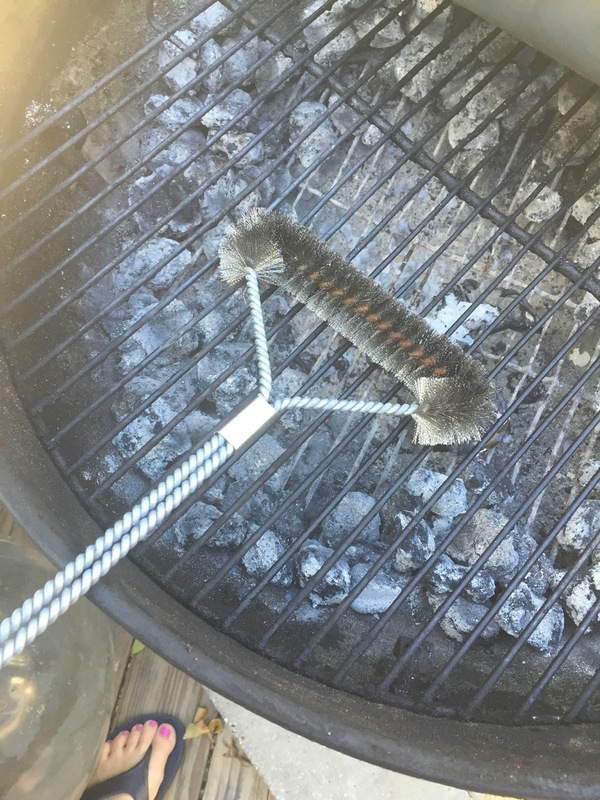 Immediately I noticed this grill brush was different. I love that it has a long handle (21 inches) so nobody will be burning themselves on my watch. It took care of the gunk on my 20-plus-year-old grill with no problem at all and then easily hangs on the deck near the grill so we can just grab it when it's time for another cleaning. This would make an excellent gift for anyone on your list who likes to grill out. Anyone who owns a grill, for that matter! Birthday gift, Father's Day, Valentine's Day ... but Christmas is coming up pretty quickly so I recommend you grab one of these for every man or woman in your life (including yourself if you love to grill out)! Some people grill out all year round ... we have been known to grill out in the winter and the grill gets grubby ... this is an awesome tool! Here's the product page at Cave Tools so you can check it out! It also includes a lot of great info about the product. It even includes a free recipe book! The best way to order, though, is through Amazon.com, below. Readers get 20% off is they use the coupon code XNTLKUOV, and I might get a little something as well since I work with Amazon Affiliates.